I know, I know, I like to let Thanksgiving get it’s time in the sun, but then you guys would miss many of these tree lightings, etc. so I’m just gonna post it now. ALL OF THESE EVENTS ARE ALSO ON OUR CALENDAR. IF YOU WANT DETAILS OR DIRECTIONS, JUST GO TO THE DAY AND CLICK THE EVENT. If you’d like to add your event, please email me. It’s free. It’s easy. Whoohoo. Outdoor Ice Skating at Harris Pavilion is $8 for adults and $7 for kids under 10. Skates are available for $4. Best bet? Go on a Wednesday in January and skate for free from 6-8pm. Note that on warm days I find this ice to be really soft (this is only a problem if you’re a serious skater). 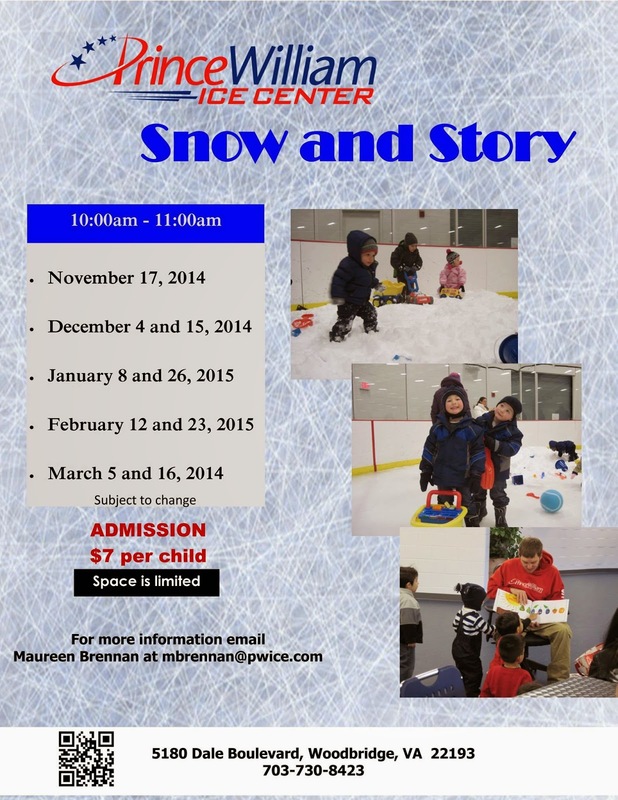 Indoor Ice Skating at Prince William Ice Center is $8 for everyone and $2 for skate rental. Days and times vary. 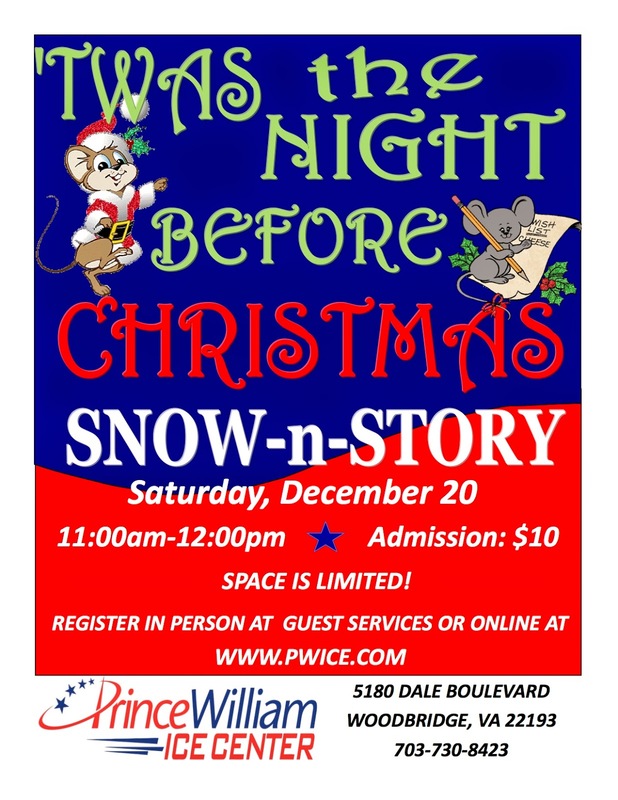 Prince William Ice also offers a popular Snow and Story, which you can visit on open days or schedule for your playgroup. 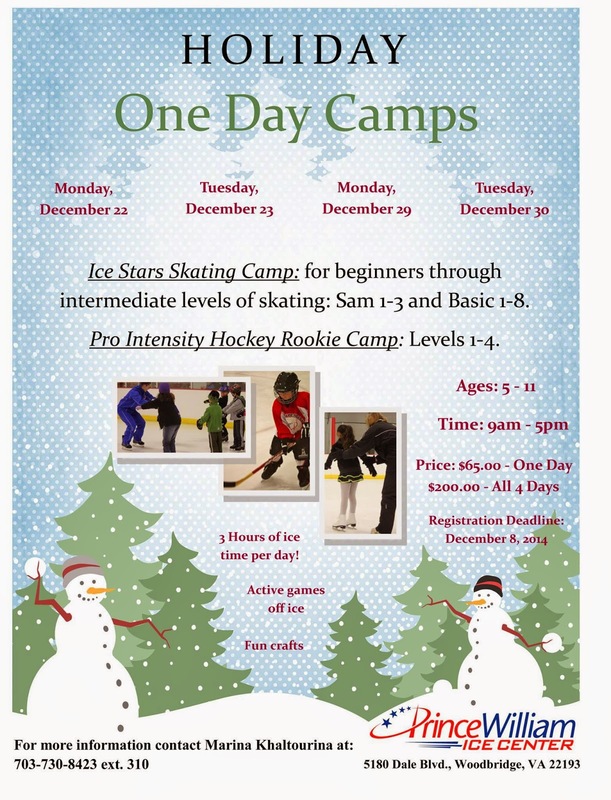 Haymarket Iceplex offers ice skating for $7 adults, $6 for kids 12 and under, and $3 for skate rental. Times vary. December 5th in Manassas, begins at 5:30pm at the train depot, lighting at 6:30 at the Museum. Free. 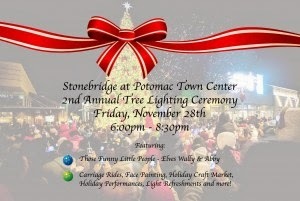 November 28th at Stonebridge 6-8:30pm, includes performances, carriage rides, and more! Virginia Gateway‘s Festive Family Fun will be December 6th from 4:30-7:30pm and will host Santa, Mrs. Claus, face painters, balloon twisters, and more! December 6th in Manassas begins at 10 am. December 6th at the Candy Factory in Manassas, you can make your own gingerbread house. Preregistration is required. $27/adult and child couple, $10 each additional child, $10 supply fee. It’s 1943 and time for holidays on the home front at Rippon Lodge! Join them December 7 from 5-8pm for $5pp. Learn about past Christmas Traditions and meet Santa at Rippon Lodge on December 7th from 12-3pm. Take a candlelight tour and see what Christmas was like for those who were enslaved. Ben Lomond Historic Site, December 13th 5-7pm. 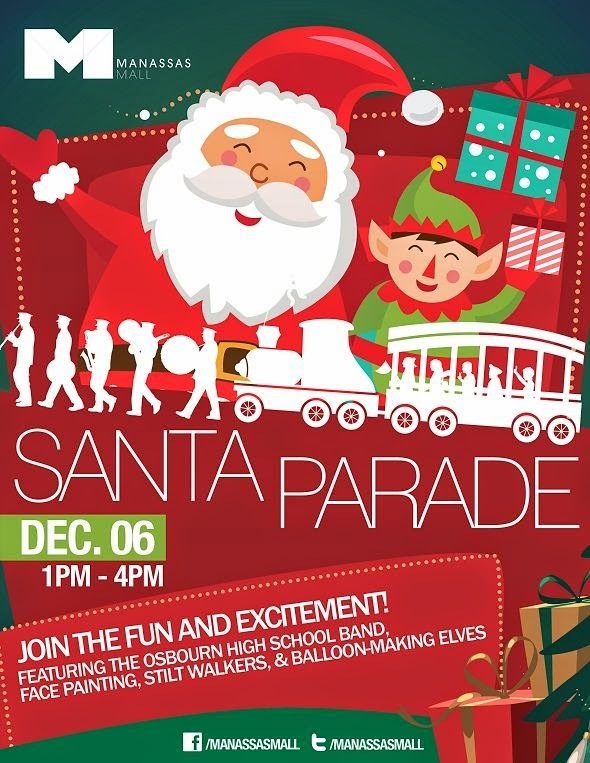 Sundays in December until Christmas, hop a free carriage ride in Downtown Manassas. 1pm-4pm from the train depot. December 10-14th join the Center for the Arts for a Train Show. Admission is a canned food item for SERVE. Tickets for the Santa Train will go on sale (and sell out completely in about an hour) on November 24th. Visit their website for details. December 6th at Williams Ordinary in Dumfries from 10am-4pm, Pictures with Santa: $5.00 for 4×6 or $10.00 for 8×10, also can make pomanders. 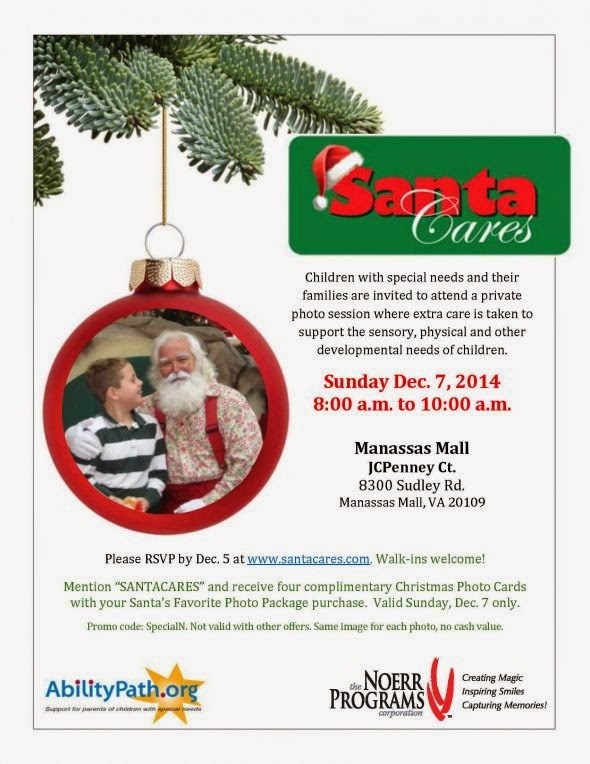 Children with special needs and their families can visit Santa at Manassas Mall on Sunday December 7th from 8-10am. Northern Virginia Youth Ballet will present their Nutcracker, featuring Russian ballet stars direct from Moscow, on November 29th at 2pm or 8pm. 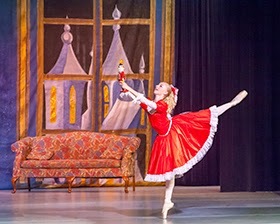 Gainesville Ballet will present their Nutcracker on November 28th at 2pm or 8pm. A Chanticleer Christmas will be November 30th at 4pm. Catch a Big Band Christmas Extravaganza December 4th at 7:30. Christmas in New York December 5th at 7:30. American Festival Pops December 12th at 8pm. 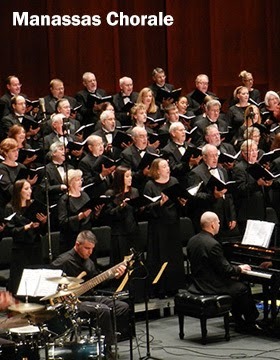 Manassas Chorale December 13th at 5pm. December 14th at 8pm, Clint Black Christmas. December 19th-23rd, Manassas Ballet will present their Nutcracker.